Obviously. But since these are the most abundant, most important, and most complex ingredients, they merit some attention. Milk and cream are basically the same stuff, but with different proportions of water, fats, sugars, and proteins. Cream is produced from milk, by letting most of the fat rise to the top (the traditional method) or by pulling it apart quickly in a centrifuge (the modern method). The results are the same. Heavy cream, in the U.S., typically has 36% milk fat by weight, while whole milk has 3.3 to 3.6% milk fat—one tenth as much. Milk also has a higher proportion of nonfat milk solids, which include sugars (mostly lactose, which we don’t perceive as sweet) and milk proteins (mostly whey and casein—the latter of which plays an important role as an emulsifier, which we’ll discuss a bit later). I encourage you to buy great quality milk and cream for ice cream. In most blind taste tests, no one can tell the difference between ice cream made with industrial milk and small farm, grass-pastured milk—the sugar masks the subtleties. But on general principle I like to support the small farmers who raise their cows humanely. Small farms also tend to sell milk that meets the specifications below. For reasons that will be apparent later in the series, I suggest milk and cream that are pasteurized at lower temperatures. This means not Ultra-Pasteuraized, and not UHT shelf milk—which can be fine products, but they have disadvantages in ice cream. You can identify a low-temperature pasteurized product by its short shelf life: the sell-by date will be closest to the production date. The label may even brag about it. Do stick with homogenized milk and cream, unless you happen to have a homogenizer. Finally, try to avoid buying cream that has carrageenan or other gums added. There’s nothing wrong with these ingredients (they just make whipping easier), but you’ll have no way of knowing the quantities, so they’ll add a wildcard to all your experiments. For dry milk powder (a vital ingredient), look for one that’s 100% nonfat milk, and that’s been spray-dried at low temperatures. Now Organic and Organic Valley are both good brands. These taste like fresh milk and have not been damaged by high heat. Store double-bagged in the freezer. 1. Our top concern with milk and cream are the water and the fat. We generally want to reduce the water content in the ice cream, in the interests of good body and texture. 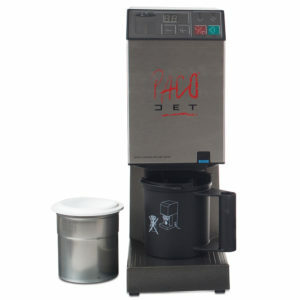 This can be done removing water from the milk (by reverse osmosis, if you have the appropriate big machine, by vacuum evaporation, if you have a different big machine, by long cooking (not ideal) or just by substituting milk powder for some of the milk, which is the path taken by most pastry chefs. 2. Milk and cream exist on a continuum. You can create a base liquid with almost any fat percentage you like, just by varying the proportions of these two ingredients. Standard for a premium ice cream. Especially good for fat-soluble flavors, like spices and herbs. This lower-fat version allows for more vibrant flavors and a cleaner finish. It’s popular with pastry chefs who make fruit flavors, or who use ice cream as part of plated desserts for after a heavy meal. This much lower fat version, in the style of northern Italian gelato, can’t legally be called ice cream, but offers the most vibrant flavors and cleanest finish. It usually depends on low overrun (very little air whipped into it) for a sense of creaminess and richness. 3. In addition to water and fats, milk and cream contain sugars and other nonfat solids, and proteins that serve as emulsifying ingredients. So functionally, they cross over into the other ingredient categories as well. Invert Syrup. You want it. Sweeteners are generally limited to sugars, in a few different forms. It is possible to make low-sugar and no-sugar ice creams, but this is challenging, and a topic that will require its own post. “Other solids” includes any added non-fat milk solids, and solids that come from the flavor ingredients (fruit fiber, cocoa, the solid components of nut butters, etc.). I’ve lumped these ingredients together because they exert important influences on texture. They suppress the freezing temperature, allowing ice cream to be scoopable right out of a standard freezer—and to have an ideal texture for eating while still quite cold. Have you noticed that homemade ice creams often turn to concrete in the freezer? It’s because the recipes didn’t consider sugar composition and overall solids levels. Solids, especially added milk solids, also give the ice cream a sense of body—some resistance to chewing, some substantialness in the mouth. There’s a range of preference here, but most people will favor a level of body somewhere between the ephemerality of whipped cream and the solidity of fudge. Solids content is the best way to control this. Freezing Point: the most straightforward way to control the freezing point suppression—meaning the ice cream’s hardness at any given temperature—is through the blend of sugars. point suppression, and tastes the way we expect sweets to taste. Invert Syrup (homemade or Trimoline brand). This liquid sugar is sweeter by weight than table sugar, and has somewhat higher freezing point suppression. It also has some stabilizing qualities (see the next section) and contributes more body than other sugars. You can buy this at a pastry specialty shop, but it takes 15 minutes to make your own. We’ll go over this in a later post. Dextrose (also called anhydrous glucose. Different from glucose syrup or atomized glucose). This is less sweet than table sugar, and has much greater freezing point suppression. You can buy this at specialty shops, health food stores, or on Amazon. If you’re thinking ahead, you’ve probably figured out that these sugars will allow you to control the sweetness and the freezing point independently. This is the big payoff of using a blend. Want a softer texture without effecting the sweetness? Add a bunch of dextrose and remove a bit of table sugar. 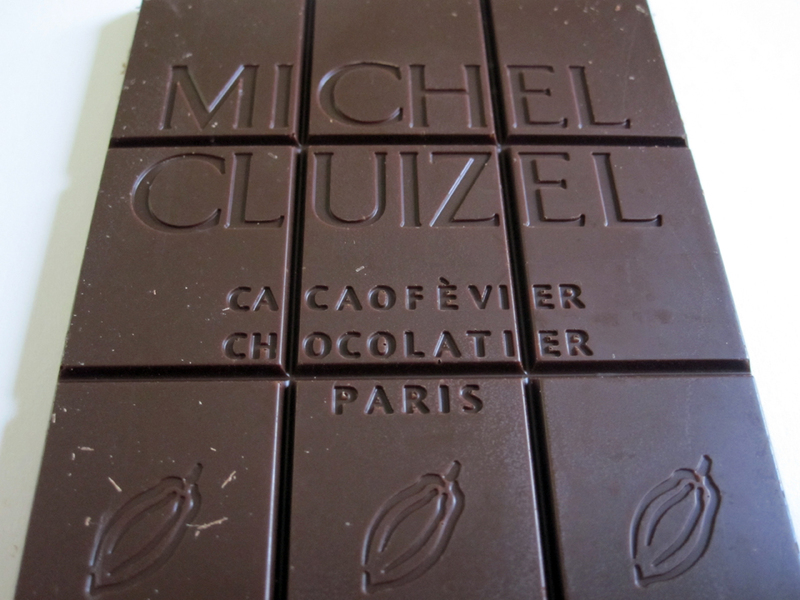 How about lower sweetness, without effecting the texture? Remove a bunch of table sugar and add a bit of dextrose. 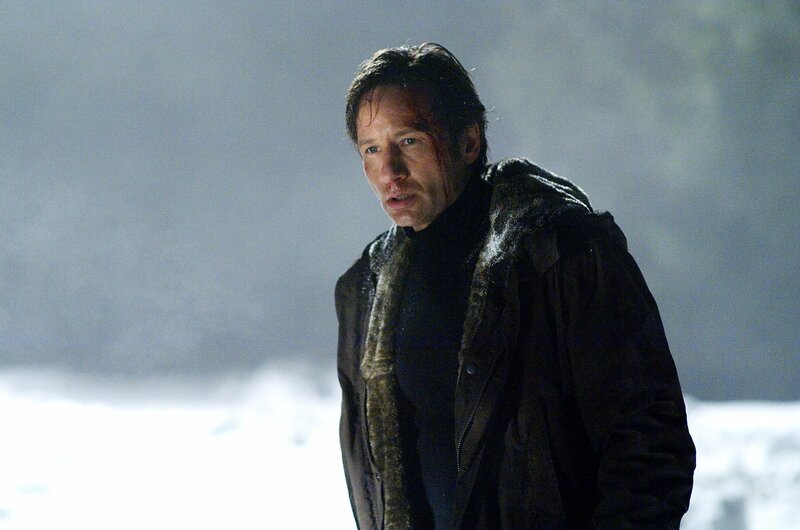 The scientific principle is this: the lower the molecular weight of a substance (meaning, the smaller the molecule), the greater its freezing point suppression. Table sugar is a disaccharide—a compound sugar made from the two smaller monosaccharides, glucose and fructose. These monosaccharides, with their smaller molecules and lower molecular weights, have greater freezing point suppression. Invert syrup is table sugar that has been split into independent glucose and fructose molecules. Dextrose is pure glucose. Most of my recipes use about 65% table sugar, 25% dextrose, and 10% Invert syrup. Small variations can make a significant difference. We’ll get more into the details in a later post. 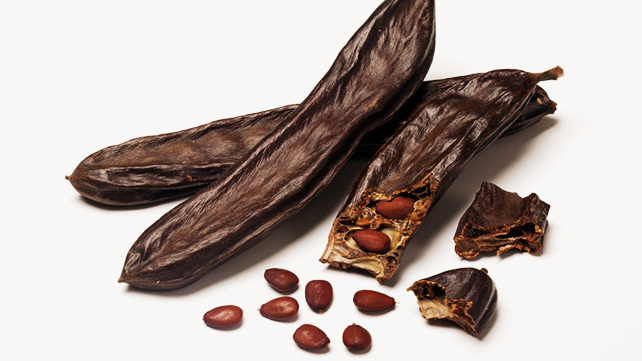 The locust or carob bean. King of ice cream stabilizers. You may encounter outcry against such substances in various corners of the internet. Much of it on the grounds that additives are chemicals and therefore evil. Here’s the problem: there is no distinction between “additive” and “ingredient.” And every bite of food or sip of beverage you’ve ever consumed has been 100% chemicals. Like, say, water. You’re going to have to push past the knee-jerk misinformation to get anything out of this blog. End rant. Stabilizers name a broad category of water-soluble ingredients that increase the viscosity of water, inhibiting it from moving around. They are thickeners. Some common examples: flour in gravy. Gelatin in Gel-O. Cornstarch in pudding. And egg custard in traditional French ice cream. Yes, eggs are a stabilizer. Don’t tell me you make stabilizer-free ice cream if it’s custard-based. If you’re using 6 yolks per quart of ice cream, you are making a highly stabilized product! In Southern Italy, under the Mediterranean sun, they flavor lighter gelatos made without egg yolk. Instead they often use cornstarch, a practice which has gained favor among some ice cream enthusiasts elsewhere. You’ll see people using other refined starches as well, including tapioca. One of the oldest (and still useful) stabilizers is plain old gelatin. Even better than starches, egg proteins, and gelatin, in spite of their names, are gums—like guar, locust bean, xanthan, and carrageenan. These are extracts from beans, seeds, seaweed, or products of bacterial action. They form hydrocolloids (science talk for thickened water) with incredible efficiency. You see them in ice creams made by both factories and pastry chefs. Gums have the advantage of working in minute quantities, and of having virtually no muting effect on the intensity of flavors. Why do we want stabilizers at all? The primary reason is to keep the ice crystals small, so the texture stays smooth. The ice crystals will never be smaller than they are when the ice cream is first frozen. After that, they grow, until they’re big enough to feel. At this point the ice cream’s texture becomes icy, and brings shame to its maker. This all happens because only some of the water in ice cream is frozen. If it were completely frozen, the ice cream would be stable, but would have the consistency of a rock. The hardness of ice cream is determined by the proportion of frozen and unfrozen water. Unfrozen water, while keeping things creamy and soft, causes trouble by being mobile—it migrates, allowing ice crystals to grow and merge. Stabilizers impede the free motion of liquid water, slowing down the inevitable crystal growth. Stabilizers can also be used to fine-tune the ice cream’s texture. They can increase or change the character of the ice cream’s body, can help control the rate of the melt, and can adjust the mouthfeel of the ice cream after it’s melted. It’s true that economy ice creams often use stabilizers in a heavy-handed way to compensate for reduced quantities of expensive ingredients (cream, mostly), or for giving near-infinite shelf lives. This is perhaps why these ingredients (at least the less pronounceable versions) have gotten a bad name. We’re not talking about this kind of use here—this blog series is about making good ice cream better, not making bad ice cream passable. Emulsifiers are chemicals that bind water and oil. Nature is full of emulsifiers, as is classical cuisine. Lecithin in egg yolks holds the yolk together. It also holds mayonnaise and hollandaise sauces and Caesar’s salad dressings together, and plays a role in ice cream as well. Whey proteins emulsify the fat in milk and cream. Natural emulsifiers in mustard hold vinaigrettes together. The emulsifiers in allium family vegetables (onions, garlic) work just as well. Maybe you’re wondering why ice cream needs added emulsifiers at all, if milk and cream are already emulsified by their own casein? Here’s the short version: we use emulsifiers in ice cream to partially destabilize the emulsion of the milk fat, so that the fat molecules are better able to glom on to each other. In other words, we use them as de-emulsifiers. Crazy, I know. But there’s method to this madness. We whip air into ice cream by the same process by which we make whipped cream. This process depends on the fats being in their crystalline form (cold and solid), and on physical shear forces (a whisk, a machine). Under these conditions, the fat molecules partially coalesce; they come together enough to make a stable structure that can hold air bubbles (a foam), but not so much that they fully coalesce and become butter. Unlike pure cream, the fat percentage of ice cream is much lower than 36%, which makes the emulsion too stable to partially coalesce and whip up smoothly. Have you noticed that you can’t whip light cream? Add some emulsifiers and you can. 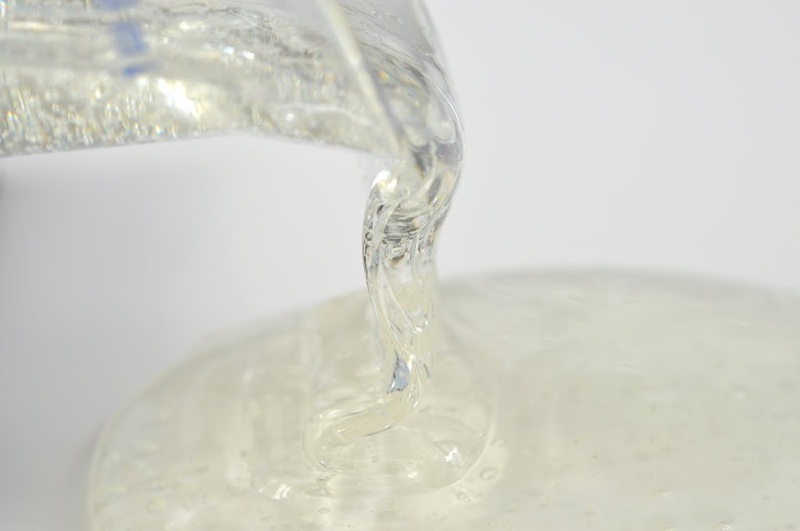 Emulsifiers also stabilize the fat structure, and help keep the foam smooth and homogenous. 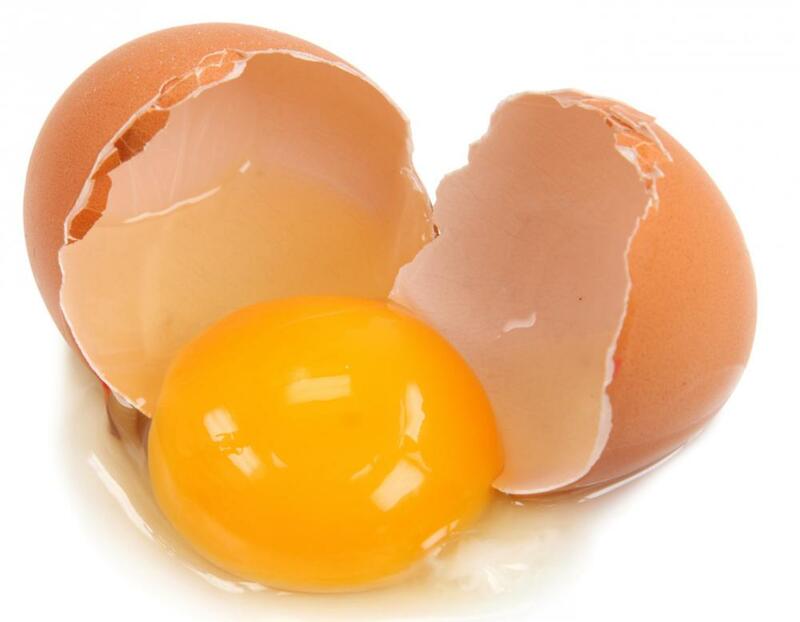 The most common emulsifier in ice cream, as you’ve probably gathered, is egg yolk. In place of eggs, or in addition to them, you will sometimes encounter pure lecithin (either egg- or soy-sourced) and the more powerful manufactured ingredients, like the polysorbates and glycerides. The French came up with the idea of basing ice cream on egg custard, and by now it should be pretty clear why. Custard is a great texture modifier, lending a ton of body and rich, creamy mouthfeel. The lecithin in the eggs offers ample emulsifying power. And the cooked proteins are a pretty good stabilizer, slowing the the growth of ice crystals, keeping the texture fairly smooth. And, of course, some people like the taste of custard, especially in combination with certain flavors (vanilla being the obvious example). What’s not to love? Egg custard requires a lot of egg relative to the milk and cream, which means a lot of additional fat. One result is muted flavors. Chefs and food scientists talk about thickening ingredients in terms of flavor release—does the flavor reveal itself immediately or does it emerge slowly? Does it taste vibrant or muted? Some thickeners, like most modern gums, are almost perfectly transparent; they let flavors emerge without any inhibition. Egg custard casts a rather hazy veil over many flavors, especially ones created by water-soluble flavor compounds (like those in fruit). And of course, eggs have a significant flavor of their own. Not everyone loves to taste egg, certainly not under all circumstances. Pierre Hermé, for example, dislikes egg flavor in combination with chocolate. His chocolate ice cream is completely egg-free (as is mine). And egg custard is a relatively weak stabilizer, which means that for ultimate smoothness, if you’re not going to eat the ice cream immediately, you’re going to have to use something else in addition. I often advocate a middle path for those who want good flavor release and who don’t want to taste the eggs: use just one or two yolks per quart (2–4% by weight), and get the rest of your texture and stabilization from other ingredients. It’s also entirely possible to make eggless ice creams that give up nothing in texture, by using the right stabilizer and emulsifier blends. Pastry chef and author Francisco Migoya did this for years as executive pastry chef at the French Laundry. In later posts I’ll cover variations on his methods. Years ago, when I met Jerry Greenfield of Ben and Jerry’s, we talked stabilizers. I asked him how Haagen Dazs managed to to make shelf-stable (and pretty decent) ice cream with nothing but milk, cream, sugar, and eggs. He leaned in, and with a conspiratorial intensity worthy of Fox Mulder, said, “they actually chemically alter the milk proteins to act like stabilizers—and they don’t have to report this!” I’ve never been able to substantiate his claim, but finally got a clue to what was going on from Jeni Britton Bauer of Jeni’s Splendid Ice Creams, who generously shares her own methods. She alters the the milk proteins, but with heat. It seems likely that our faux-Scandinavian friends in New Jersey do something similar. Scientists have discovered that the right amount of heat for the right amount of time can denature (cook) milk proteins to a point where their thickening and emulsifying powers are greatly altered. The research I’ve seen is on plain milk, not on ice cream, so it’s unclear if this process works by increasing or decreasing the emulsifying power of the proteins in ice cream. But it does seem to work. It also allows the proteins to form a hydrocolloid with some thickening and stabilizing powers. I don’t see a reason to depend entirely on this alchemy, but in later posts we’ll look at how it can help. There’s also the No Stabilizer strategy, known as “Philadelphia-Style.” No eggs, no nuthin.’ This can make quite a refreshing, relatively light dessert, but you’d better eat it like soft-serve, right out of the machine—if you like your ice cream smooth. Finally, there’s the No Stabilizer strategy known as buying a Paco-Jet. 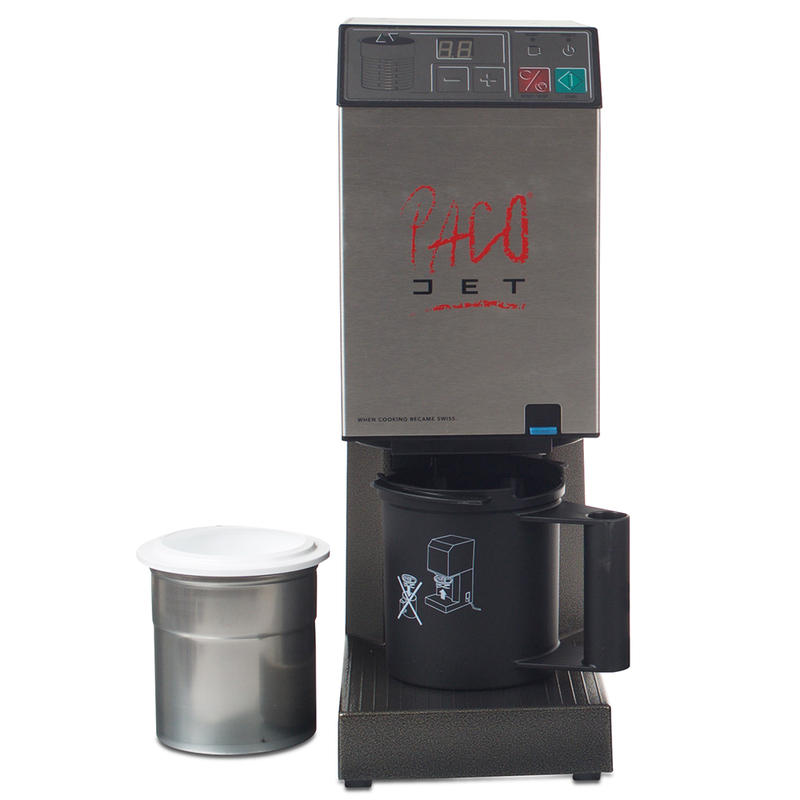 With this $5000 machine, you freeze your mix into a big ice cube, and then let the the high-speed blades shave it into nano-sized, perfectly smooth and aerated ice cream fairy dust. The texture is perfect—but again, you have to eat it right away. These machines have found favor with pastry chefs in small operations where they can make all their ice cream right before service. You could write many books on ice cream flavors (to wit: lots of people have). My goal here is to cover general principles that will help you concoct your own—I don’t think the world needs another catalog of recipes. For our purposes, we’ll divide flavors into two categories: simple and complex. We mean simple or complex from the perspective of designing a recipe, not of executing it or tasting it. Simple Flavors use ingredients that don’t contribute significant water, fat, solids, or sugars. In other words, they don’t alter the balance of the base recipe in any way. You don’t have to compensate for them in order to keep the texture right. Examples include herb and spice flavors, or anything made with an extract. Complex Flavors use ingredients that—you guessed it—contribute water, fat, solids, or sugars. To create these flavors, you need to figure out the components of the flavor ingredients, and then tweak the recipe to keep everything balanced. Examples include nut butter flavors, fruit flavors, booze flavors, and chocolate flavors (possibly the most challenging). A Thought: you might have noticed that commercially made ice creams tend to have the finest textures (when they’re good) while homemade and pastry chef-made ice creams tend to have the best flavor (… when they’re good). Texture is the greatest technical challenge, and the big guys have technology on their side. They have industrial homogenizers, powerful ice cream machines that can often freeze a batch in under five minutes, and blast freezers that can harden the ice cream quickly, at -40° or colder. At home, we have to struggle to approach the results made possible by these technologies. But we have the advantage with flavor, because great flavor comes only from ample use of great ingredients—which cost ample piles of money. 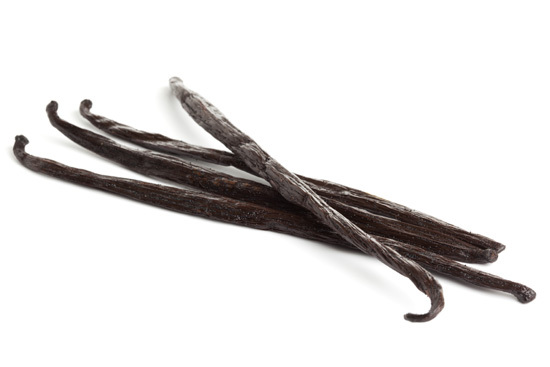 We can splurge on the highest grade Madagascar vanilla pods, fruit from the farmer’s market at peak season, multiple varieties of single-origin Michel Cluizel chocolate, locally roasted single-origin coffee beans, French brandies, and single-barrel rums and whiskeys. Ben and Jerry can’t afford this. Your local homemade ice cream shop can’t either. It’s only possible if you’re doing it without a profit motive, or if you’re charging the kinds of prices allowed by two or three Michelin stars. Working on a small scale also allows you to vary your base recipe, flavor by flavor. Ice cream shops that use a commercially prepared mix have to settle for a one-formula-fits-all approach. This series will help you make ice cream with great texture—within the limitations of the technology you can manage. I’ll mention tools like rotor-stator homogenizers and blast freezers, but won’t assume you have access to them. I don’t. But if you’re serious enough to have read this far (I’m talking to both of you! ), you’re serious enough to go after the best possible flavor. I’ll gladly help you get there. 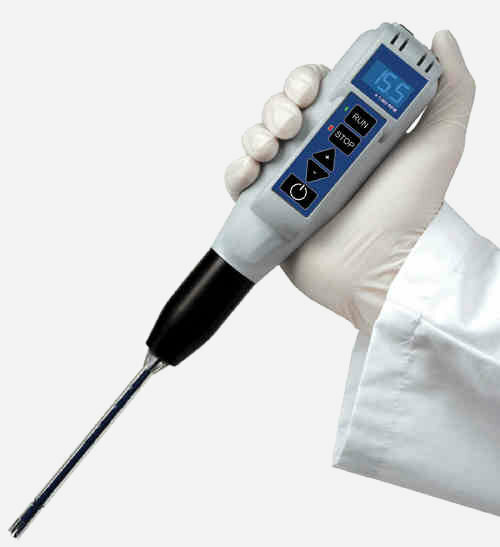 A rotor-stator homogenizer—a $2000 blender powerful enough to blast cells apart. In the future, every citizen will have one. It's an interesting observation that while home ice cream makers have the disadvantage in executing texture, we do have the advantage in maximizing flavor. Oh I get it now! It is not the percentage of milkfat in the total milk/cream quantity. Rather, it is the percentage of milkfat in the total weight of the final product! So I guess the values above are empirical. Hello. I just started reading this wonderful blog. However I have one question. 1 part cream and 1 part milk give about 15-16% milk fat. Please correct me if I am wrong, but, if cream is 36% milkfat and milk is 3.6% milkfat, then the final result of these parts should be 19.8% milkfat. (assume that 1 part = 100 grams, so -> 1 part of cream has 36 grams of milkfat and 1 part of milk has 3.6 grams of milkfat -> end product milkfat is the sum of the two = 39.6 grams in 200 grams -> 39.6 grams / 2, in order to turn it to percentage. I found that my calculations are systematically different than your calculations. Do I make a mistake somewhere? Please let me know if I am wrong. The observation that you have shared is very good about the component of ice-cream and I’ve learnt many new things about the ice-cream and it is not simple to find a such accurate summarize and you have posted this blog for the good work. I haven't experimented with whey. This might make sense if you were getting extremely technical with using denatured whey proteins as emulsifiers or stabilizers, and found some reason to change the ratio of whey to casein. But you'd need to be privy to research that I haven't been able to find. I'm happy to just use nonfat dry milk, and to get the benefits of all the milk solids.